Yo - thanks! Now I feel like a better Asian after reading this. TOTALLY did not know any of it before. 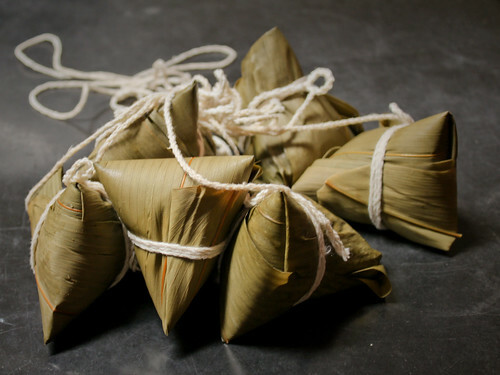 I personally don't like the dessert-type of zongzi, but maybe it's because I don't like rice all that much... Oops. Back to being a bad Asian again. I think I love all glutinous rice. @Victoria it's okay, I don't really like zongzi that much anymore. I ate too much of it. @munchimonster LOL I don't like thinking of fish eating the body or sticky rice either. Hi. I'm Susie Chan, and my friend here is Chinni Tseng, but she calls herself Jeannie too. We're enjoying looking at your food pictures.